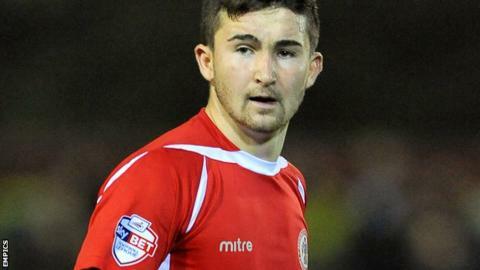 West Ham striker Sean Maguire has rejoined League Two side Accrington Stanley on an initial month-long loan. The 20-year-old scored four goals in 16 appearances during a four-month loan at Accrington, which expired last week. Maguire is now available for another seven games, with his latest loan deal running until February 22. "I'm sure he can be as much of a success for us as he was first time around," Accrington manager John Coleman told the club website.